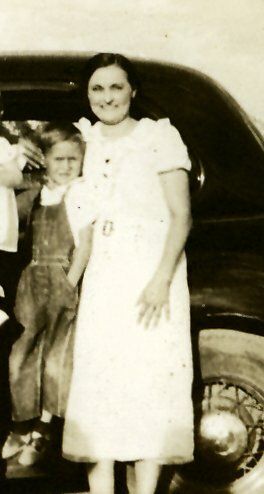 Mrs. Pauline Ethel Smith, 70 of 6500 Rookin, died Sunday. 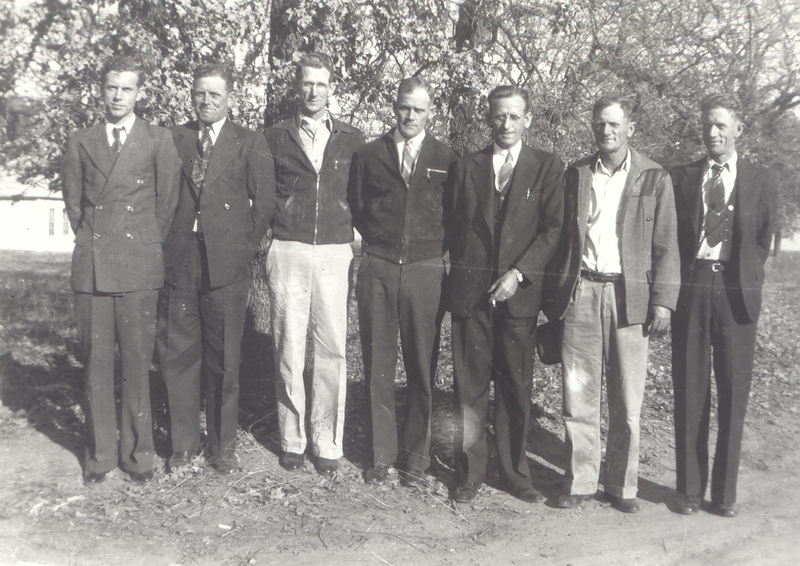 Survivors: Sons, Claude Harrison Ashley, Trinidad H. L. Ashley, Fort Worth. Services 1 p.m. Wednesday, Earthman Southwest Chapel. Remains to Baton Rouge, La. For entombment in the Greenlawn Mausoleum 11:30 a.m.Thursday. 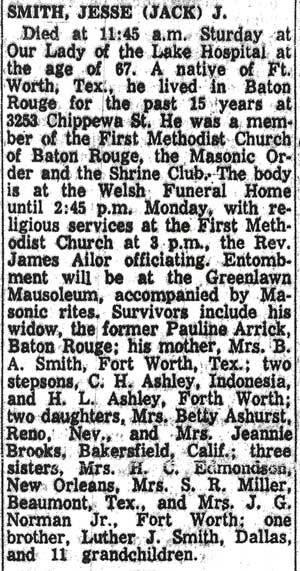 Earthman Southwest Funerals, 6700 Ferris, Bellaire, 667-6505. 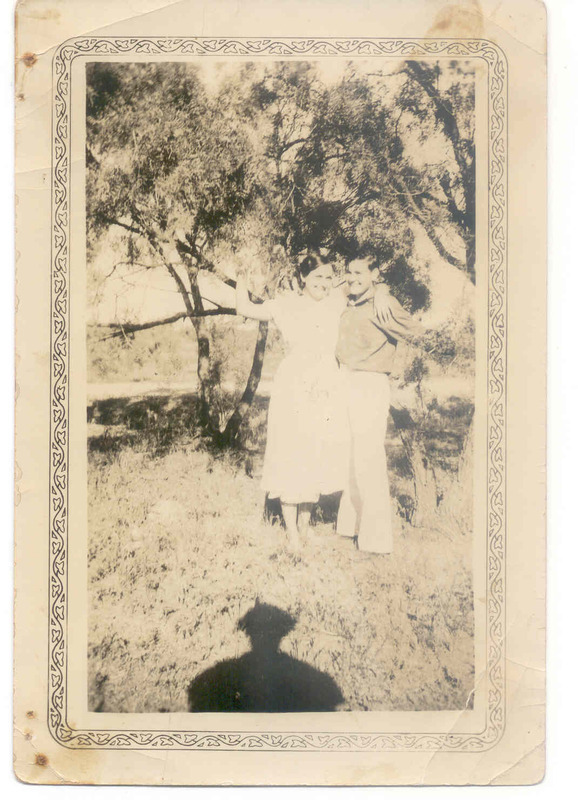 With Leonard L and Ellie-1936? If you would like prints, Email me. On Sept 24th, 2007, the archives at the Forney library were moved to the Kaufman library to improve access. 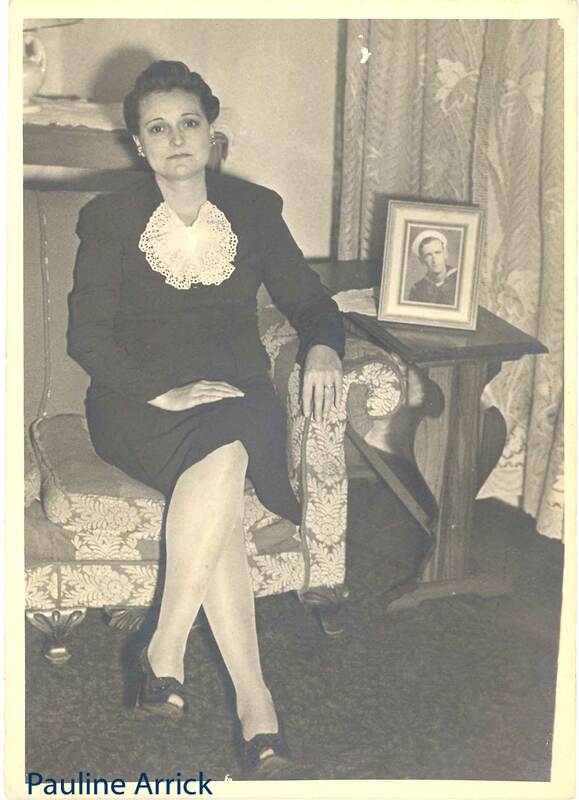 During the move, an envelope of pictures fell out and one of the pictures had "Ethel Arrick" written on it. Kathey Hunt noticed this name and contacted us. There appears to be no other pictures of Arricks in the archives. 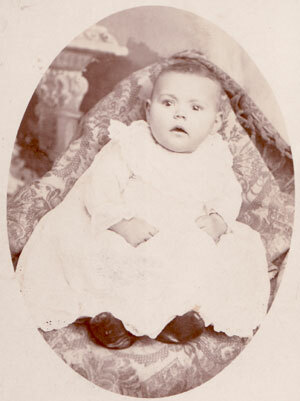 Since Ethel (Pauline) was born in April 1903, this picture was probably taken in 1904. Now, who would have a single picture of an Arrick? Possibly an Alphin family member, or a Nall family member? Click the picture for a giant size. If you would like a print, Email me. 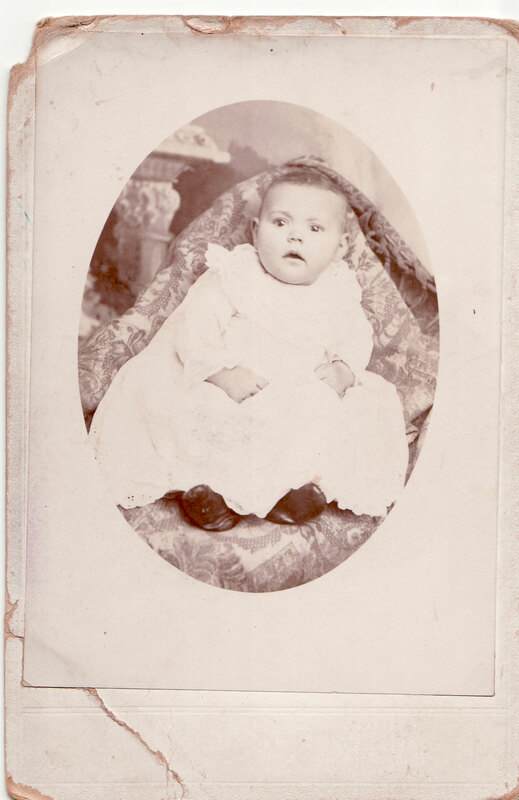 Pauline had not been born yet. 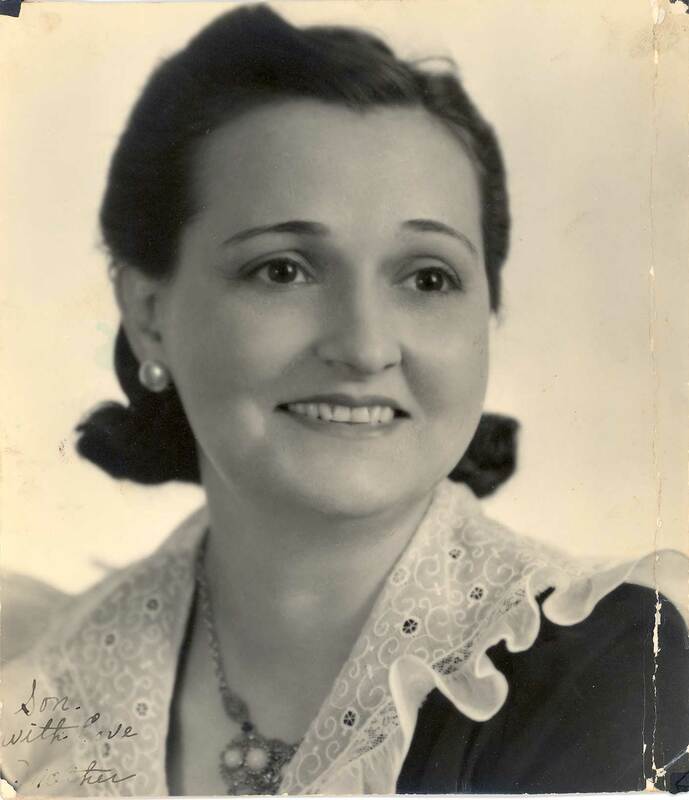 Birth: Apr 13, 1903 in Crandall, Kaufman Co, TX. 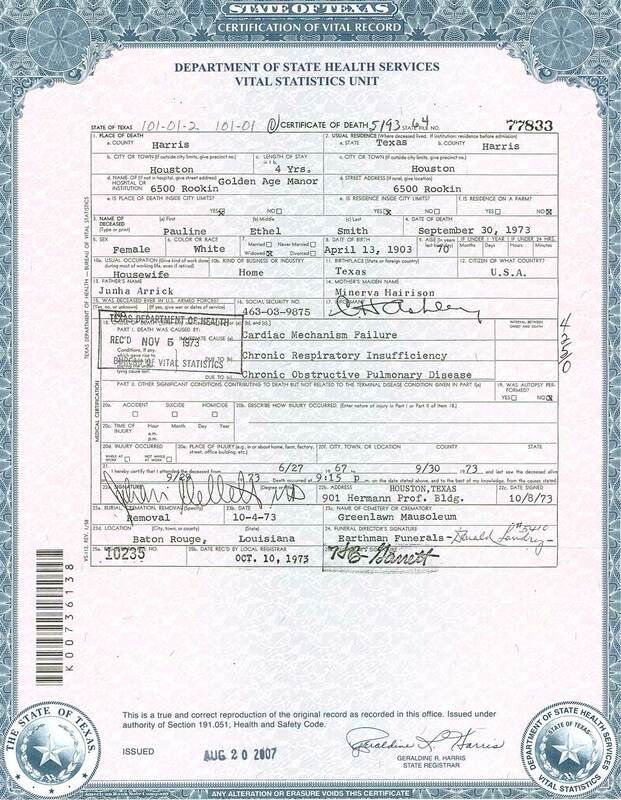 There has been no birth certificate found for Pauline. 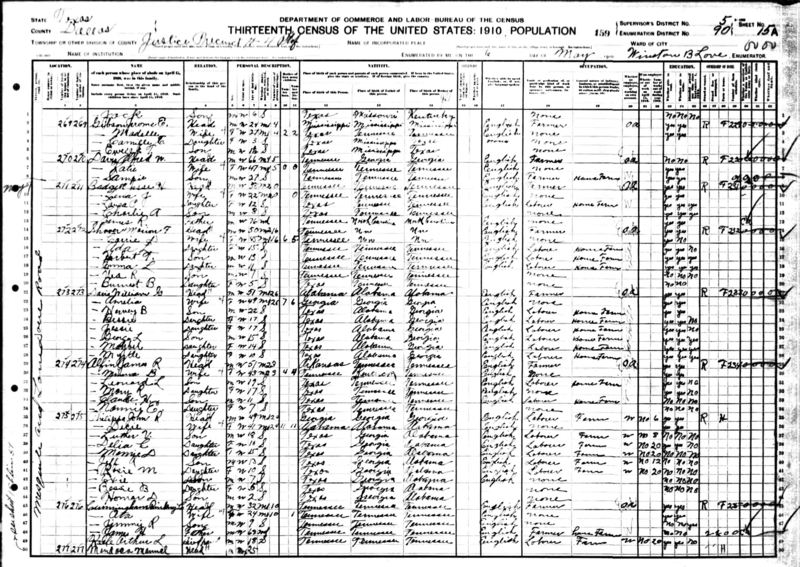 Her death certificate says 1903. 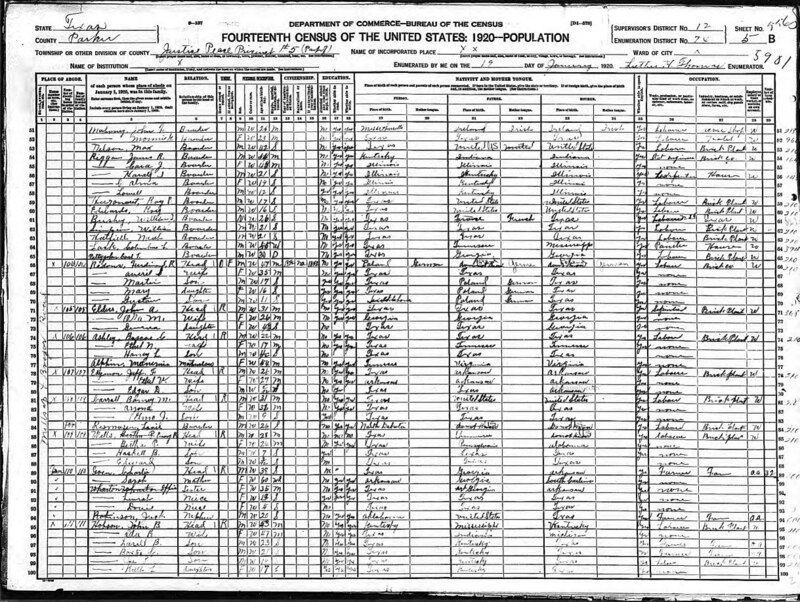 Roscoe (1898-1965) is the son of George Lee Ashley and Sarah Bell Estell. 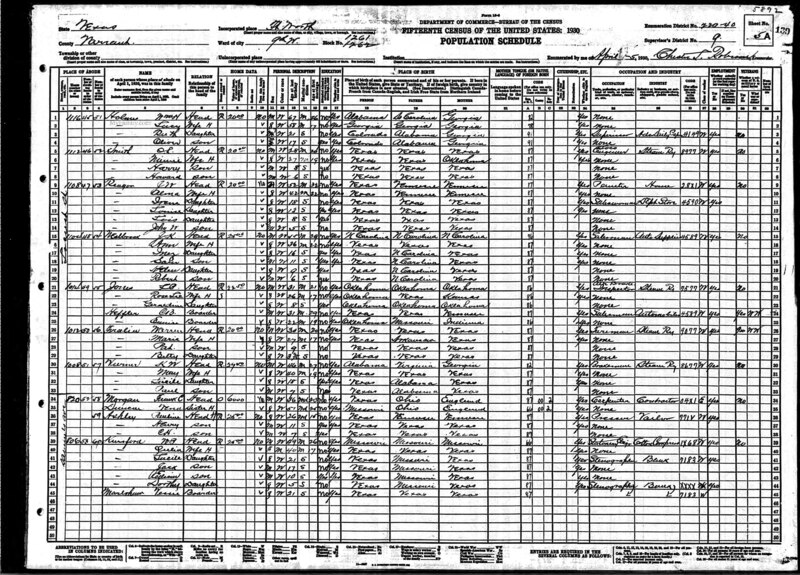 A large Ashley family lived and farmed in the Soda Springs area of Parker County TX. 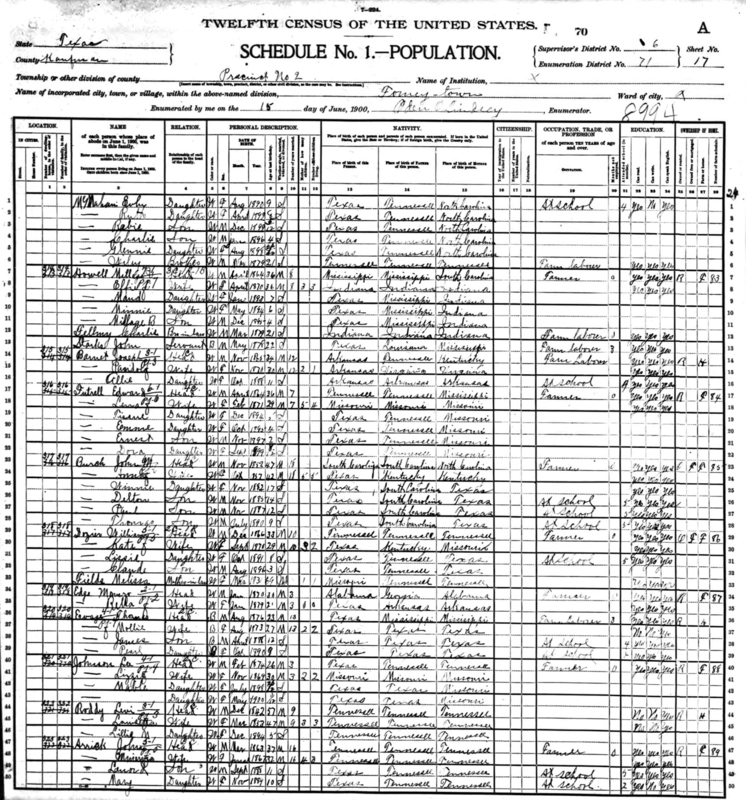 This marriage occured approximately 1918 but no marriage record has been found. 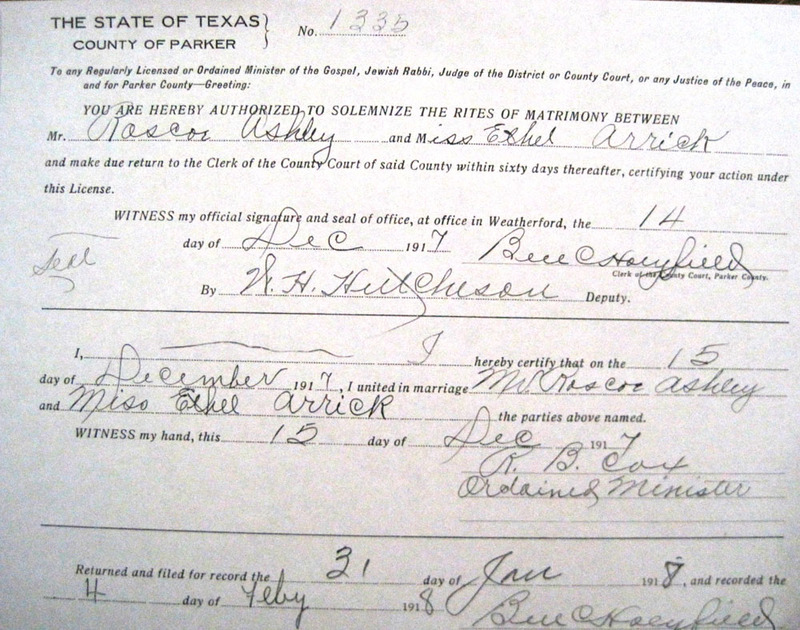 They were probably married in Parker county. 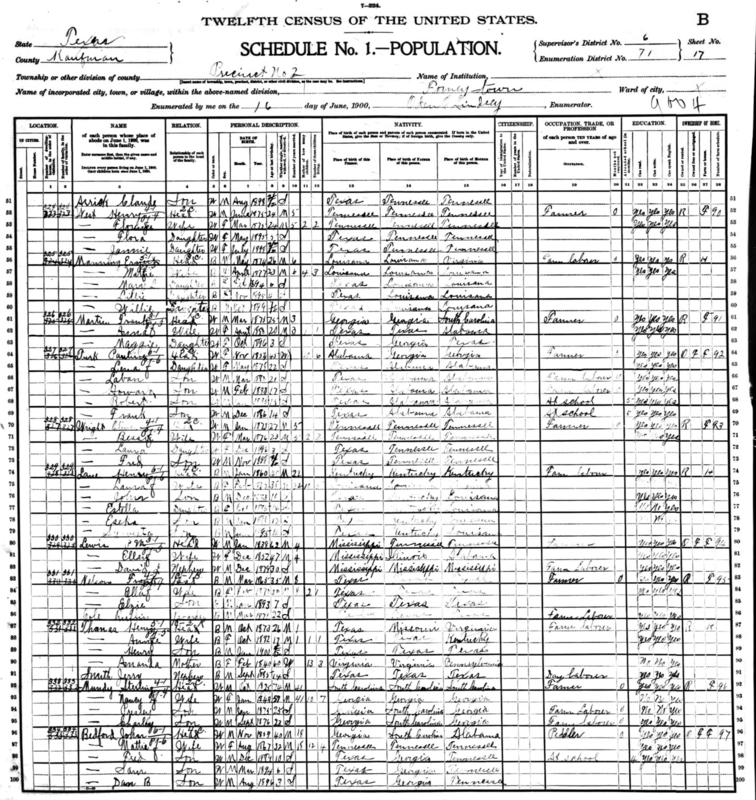 I don't know why Pauline was in Parker county. 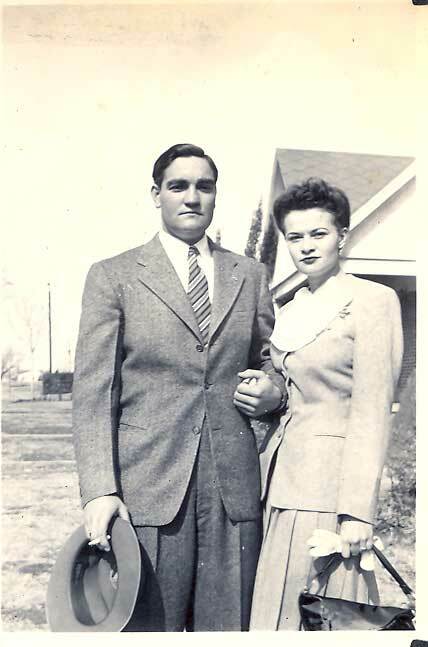 Her brother Leonard L. moved west towards Abilene and worked at a brick plant. 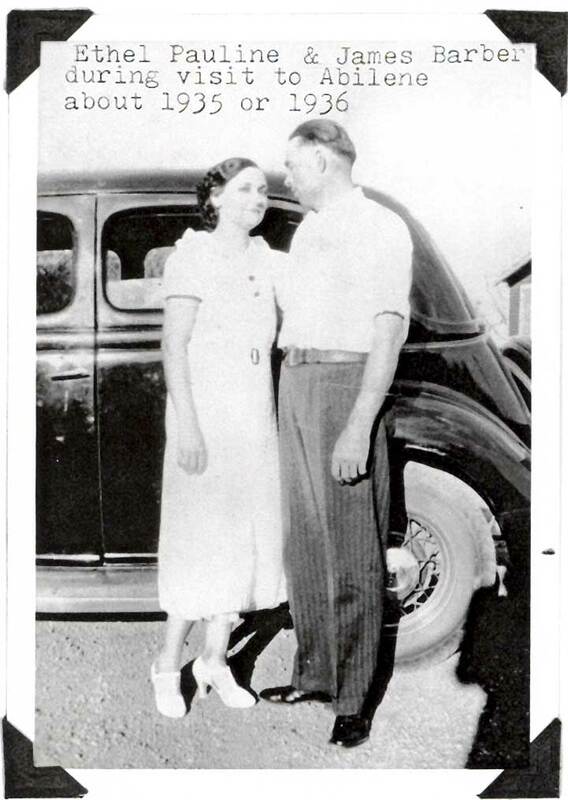 The area where Roscoe lived also had a large brick plant where he worked, so there might be a connection somehow. Roscoe is buried in Soda Springs cemetery in Parker County TX. We've heard he was married several times from one source, but heard he never married and cared for his sick mother from another source. 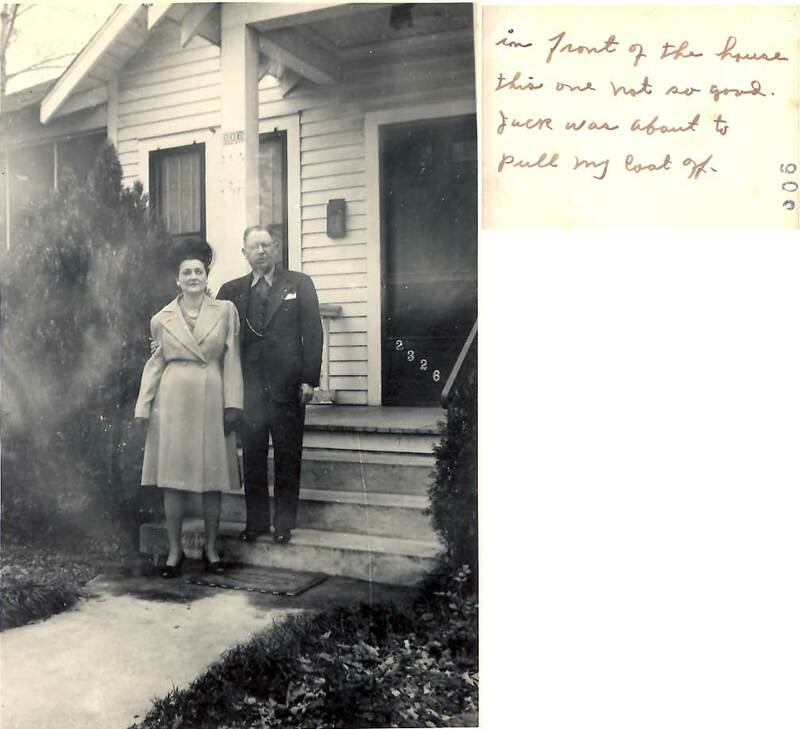 They are living with Frank C Morgan (36 and his sister Tena Duncan?) - Have no idea who they are. 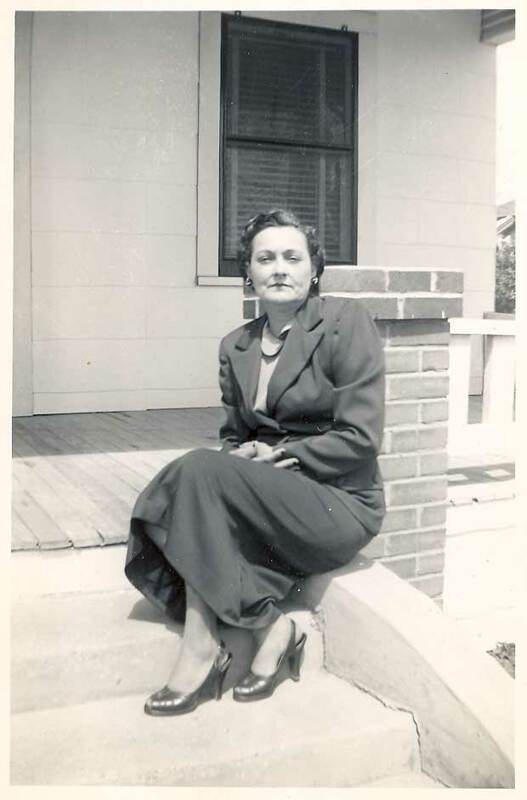 Pauline died 30 Sep 1973 in Houston TX at the Golden Age Manor. 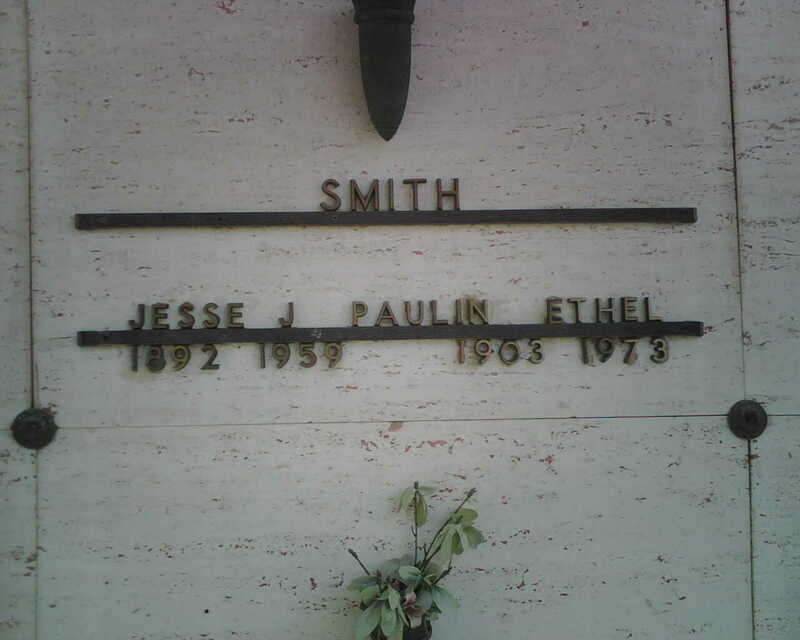 Her husband Jesse J. Smith had died in 1959 and was buried in Baton Rouge LA. 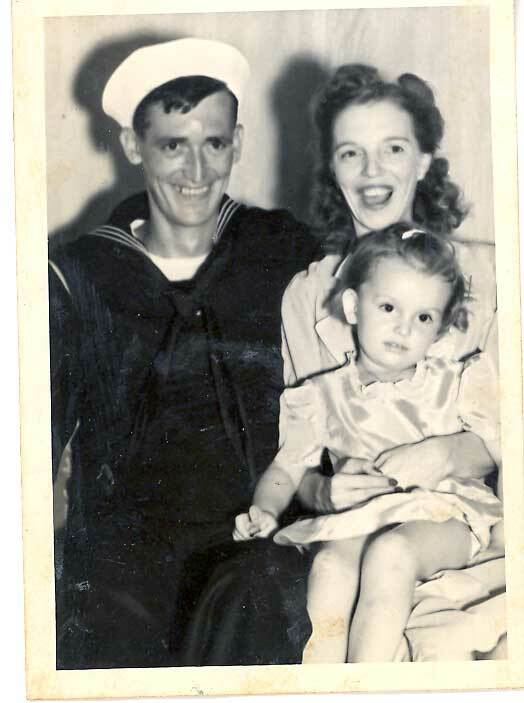 Her father's name is listed as Junha Arrick - this probably was intended to be Johnny Arrick. 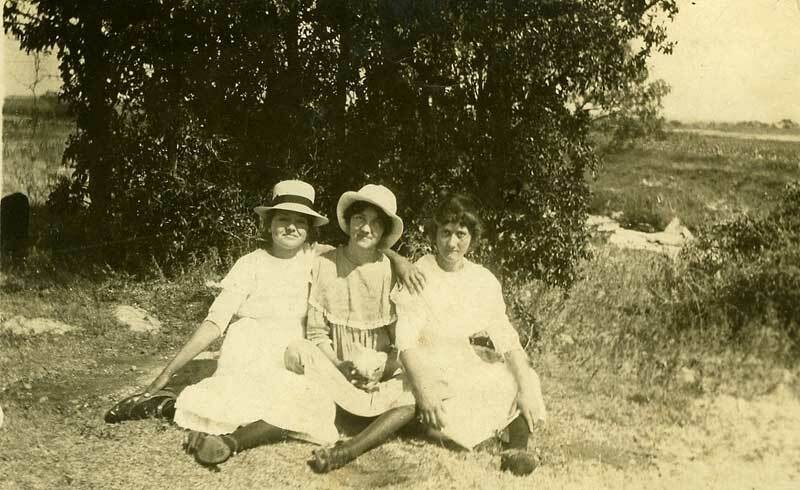 Her health problems were respiratory related, just like her brothers and sister. 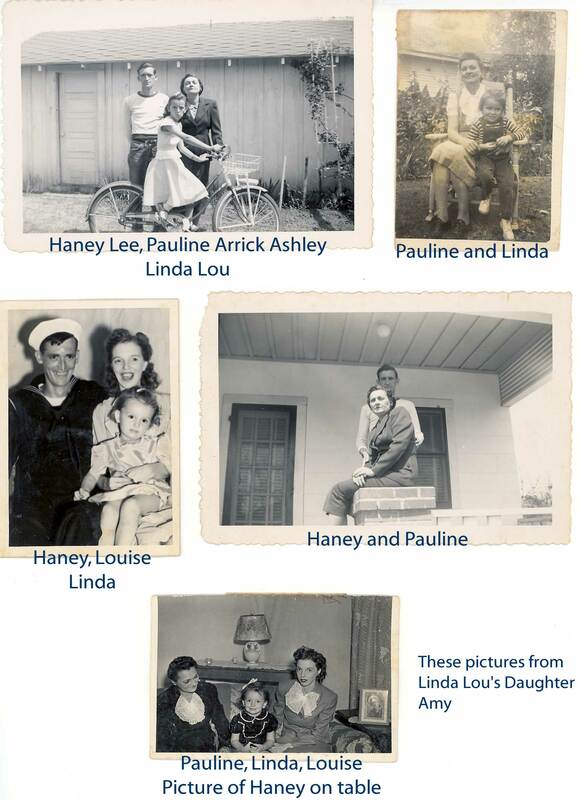 Pauline had 2 children by Roscoe Ashley as far as I know. 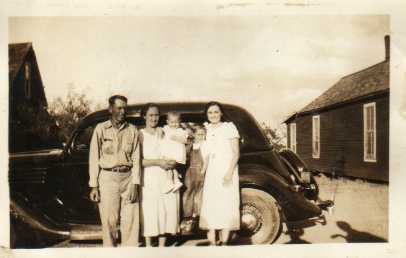 Worked for an "Oil Company"
If you are a descendant, please contact me so we can share information.